If you need an antenna booster installed or fixed, contact the experts at Adelaide Telefix. 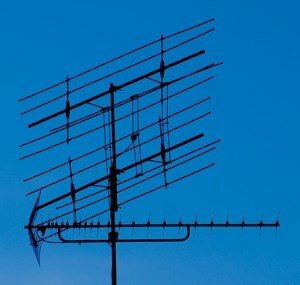 When it comes to TV reception and signal quality, there are many factors that can cause issues, and an antenna booster can help fix these issues. If you are finding that your TV reception or signal is weak, or that your picture isn't the best it can be, contact us at Adelaide Telefix and we can install an antenna booster that is appropriate for your TV setup to ensure you get the best signal quality you can get. There are many different types of antenna boosters, including mast mounted antenna boosters (also known as preamplifiers), and line signal boosters (also known as distribution amplifiers). The different types of boosters are useful in different scenarios, and at Adelaide Telefix our expert technicians have worked with and installed antenna boosters for many years, so we can help advise you on what types of antenna booster you may need, and install it for you as well. There are several situations where the different types of antenna boosters can be used. For example, if you have a TV setup where you have multiple TVs hooked up to a single antenna, then the signal is going to be split across multiple TVs. This can weaken the overall signal each TV can get, and this is where having a line signal booster installed can help boost the signal reception to all of the TVs you have. 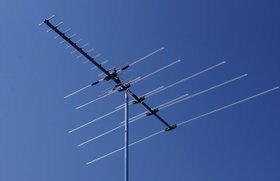 Other situations include having a long overall cable length between your antenna and your TV, and if you are in a weak signal area - all of these situations can benefit from having antenna boosters installed to help increase your signal quality and provide your TV with the best possible images and reception. Adelaide Telefix can identify the best type of antenna booster you might need depending on your particular situation, and we can then install it for you so that you get the best possible signal for your TV. At Adelaide Telefix, our antenna service center technicians are experts at installing antenna boosters and fixing antenna boosters at cheap prices. Our technicians have the experience and expertise to ensure that your antenna booster installation or repair is done quickly and to the highest quality. We will help you get more out of your existing antenna setup so that you can get crystal clear image quality and reception for your TV. Contact us below at Adelaide Telefix and get your new antenna booster installed.